Historic Wilkes County is a picturesque community that is full of Southern charm and Georgia hospitality. It attracts people from all walks of life, who enjoy browsing the many historic museums, visiting battle sites and shopping its diverse downtown district. Located near several popular state parks, Wilkes County offers enough hiking, fishing, boating, and camping to satisfy even the most avid outdoorsman. However, the one place no one wants to visit is the Wilkes County Jail. If you or someone you love is in jail, Anytime Bail Bonding, Inc. can help with Wilkes County bail bonds. Our Wilkes County bail bondsmen offer help 24/7. Just call (706) 823-1111 or visit us at 3435 Peach Orchard Road, Augusta, GA 30906, to learn more. A bail bond is a contract that allows a person to be released from jail for the period between the charges and their case’s conclusion. Bond typically refers to cash, property or other collateral, and it guarantees that the accused person will continue to appear at all necessary court dates. 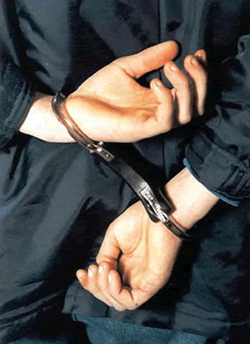 Our Wilkes County bail bonds company will typically charge a percentage of the bond. The fees usually range from 12 to 15 percent of the total amount. Once the court case is finished, the collateral will be returned. If the accused misses court dates, he or she will be liable for the full cost of the bond as well as any associated expenses. After an arrest, you or your loved one will be taken to the Wilkes County Jail. Although it can take a while to be charged, the bail bonds process in Wilkes County can begin as soon as charges are filed. At that point, our bondsmen in Wilkes County can confirm the bail amount and post the bond. In most cases, you’ll be released within one to two hours of your bond being posted. When you or someone you love is facing charges and in the Wilkes County Jail, you might not know where to turn. Our bail bondsmen in Wilkes County are available 24 hours a day and seven days a week to ensure you have access to the support you need during this tough time. Our agents offer bail bonds in Wilkes County to cover just about any charge you’re facing from misdemeanors to felonies. We offer fair pricing, personalized services, and discretion for all your bond needs. Contact a Wilkes County Bail Bondsman Today! Anytime Bail Bonding, Inc has nearly 25 years of experience in the bail bond business. A proud member of the Georgia Association of Professional Bondsmen, we have 12 offices throughout the state of Georgia to help you and your family. Contact our bail bondsmen in Wilkes County at 770-339-9000 to learn more.